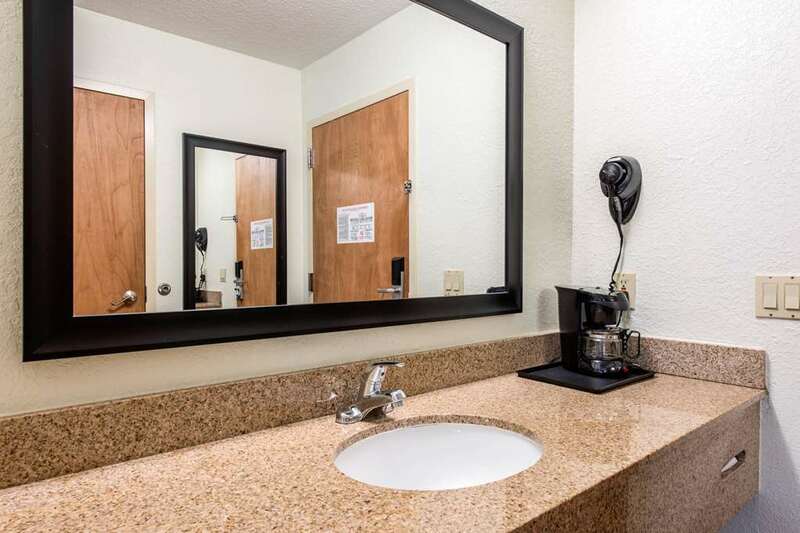 Get more for your money at the Quality Inn and Suites Near the Theme Parks hotel in Orlando, FL near the Epcot Center. Other nearby activities and sites include Universal Studios Orlando, SeaWorld Adventure Park, Orange County Convention Center and the Orlando International Airport. Get more value with amenities like free WiFi, a free weekday newspaper and a fitness center. Guest rooms include coffee makers, hair dryers, TVs, safes and Q beds Long-distance travelers will appreciate our guest laundry services. We also offer membership to the Choice Privileges Program, which gives members the opportunity to earn valuable rewards points toward airline miles and free hotel room nights. Free limited shuttle services to Walt Disney World and Universal Studios.